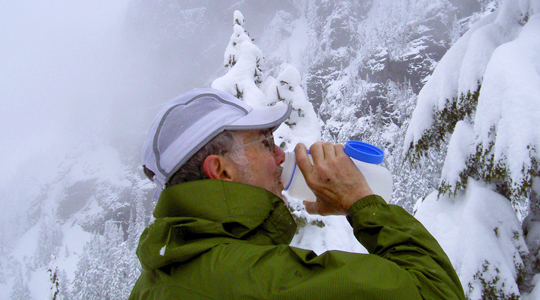 Doug Walker, a 64-year-old climber, conservationist and philanthropist died on Thursday, December 31, on Granite Mountain (5,629') near Snoqualmie Pass, Washington. 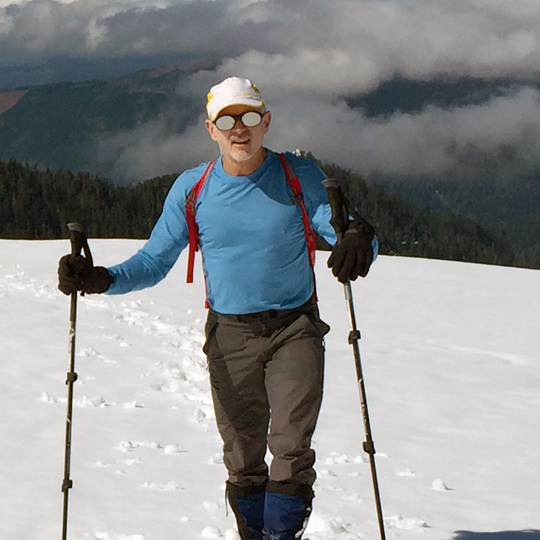 Walker was snowshoeing up the mountain with friends when they encountered rising winds. The rest of the group turned back, and Walker continued up the peak alone. His friends waited at the trailhead for two hours, and then called search and rescue after he didn't show up. Over 60 members of several SAR units, including the Kings County Sheriff team, searched for Walker through the night without success. Walker was found dead on Friday morning, January 1, at 10:30 a.m. in a debris field a couple of miles up the mountain. He appeared to have been struck by an avalanche. Throughout his life, Walker was deeply committed to preserving natural places and access for climbers and hikers. 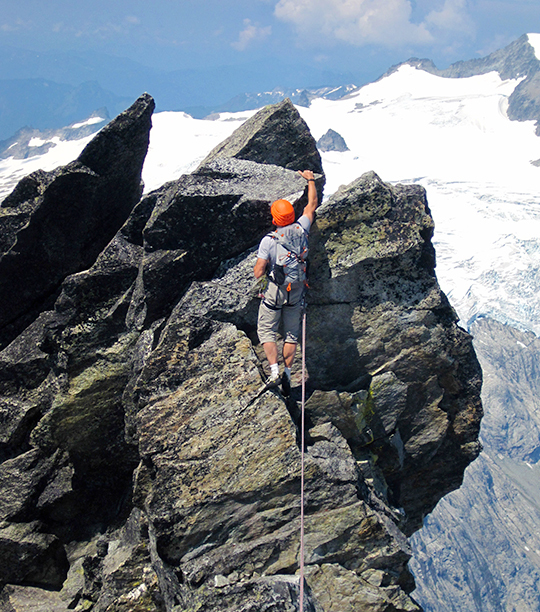 Brady Robinson, Executive Director of the Access Fund, told Alpinist: "Doug was one of our greatest advocates. He was well connected politically as well within the conservation world, and he was a climber at heart. Climbing and adventuring outdoors were core to who he was." Walker was one of the first major funders of the Access Fund's land conservation campaign, and he was currently backing an expansion of the policy program. Robinson notes that Walker served an important leadership role in getting the Access Fund and the American Alpine Club to work closely on significant climbing issues. In addition, Walker was the current president of the American Alpine Club, the past chair of the governing council of the Wilderness Society, and the former director and chairman of REI from 2005 to 2008. Secretary of the Interior Sally Jewell, who used to work with Walker at REI, told KING 5 News in Seattle on January 1, "...our nation lost an amazing entrepreneur and true champion for access to the great outdoors for all people, especially youth. 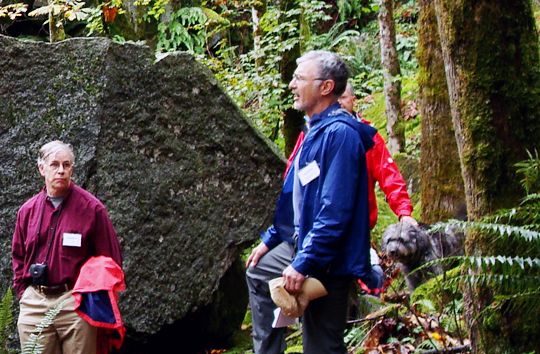 As a brilliant mathematician and devoted outdoors-person, Doug, alongside his wife Maggie, dedicated his time, energy and resources to many educational and environmental organizations, ensuring that young people from all backgrounds have an opportunity to experience the natural world." Secretary Jewell also called Walker a "fun hiking and climbing companion." Originally from South Carolina, Doug Walker moved west in the 1970s as a student at the University of Washington. Longtime friend Steve Swenson told Alpinist, "Doug was a consistently active climber since his college days." Besides his conservation efforts, Walker promoted the outdoors to young people, helping found programs at the Seattle YMCA that take thousands of disadvantaged youths climbing, river rafting and hiking. Swenson said, "Doug believed that getting young people outdoors was critical to the nation's long-term preservation and conservation efforts." Swenson said that one of Walker's strengths was his ability to work well with other people and user groups to get things done. "Doug cautioned me to be careful to not make enemies with someone whom I may need to work with at some point in the future." Doug Walker was a well-loved man who knew how to be a supportive friend. He was also obsessed with riddles, and he loved the kinds of counter-intuitive ones that boggled his companions' minds. Robinson recalls, "When we were climbing and I had something important to discuss with him, I'd have to start the conversation by asking that he not incapacitate my brain with an irresistible riddle." Secretary Jewell also recalled that Walker entertained "everyone with math brain-teasers and trivia on the Civil War and Shakespeare along the trail." Doug Walker is survived by his wife, Maggie, and daughter Kina. Again a tragedy - but in this case it was somehow unnecessary. The ot5herone made the right joyce - to go back. To be frank - it isn't always easy to make this step - but is the most cases lifesaving.